"The greatest security in a Republic"
If it were to be asked, What is the most sacred duty and the greatest security in a Republic? the answer would be, An inviolable respect for the Constitution and Laws -- the first growing out of the last. 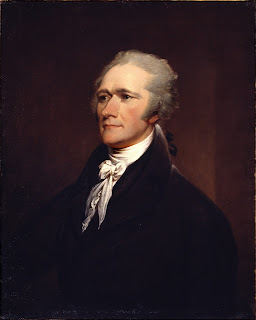 It is by this, in a great degree, that the rich and powerful are to be restrained from enterprises against the common liberty -- operated upon by the influence of a general sentiment, by their interest in the principle, and by the obstacles which the habit it produces erects against innovation and encroachment. It is by this, in a still greater degree, that caballers, intriguers, and demagogues are prevented from climbing on the shoulders of faction to the tempting seats of usurpation and tyranny. - Alexander Hamilton (1755-1804), Tully No. III, Aug. 28, 1794, reprinted in Alexander Hamilton: Writings (Library of America: 2001), pg. 830. Of course, it helps if those laws are themselves respectable. 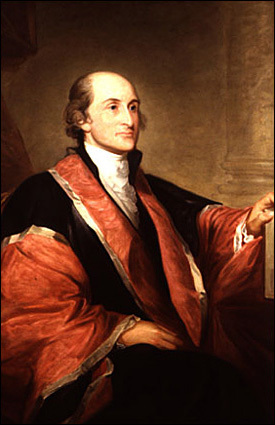 John Jay is an often-overlooked Founding Father when it comes to questions of religion in the public square. An orthodox Protestant Christian with a strong aversion to Roman Catholicism, Jay was nonetheless a proponent of religious liberty as a general proposition who believed that while religion should have a role in guiding the moral development of society, it should also refrain from stating positions on every political issue. Although the mere expediency of public measures may not be a proper subject for the pulpit, yet, in my opinion, it is the right and duty of our pastors to press the observance of all moral and religious duties, and to animadvert on every course of conduct which may be repugnant to them. - Letter dated January 1, 1813. Jay is far from advocating a naked public square in his work, but his statement to Morse demonstrates a concern that pastors not address political issues beyond the specific competency of religion to address -- those issues that directly impacted on moral & religious duties. This active though restrained role was, to Jay, one that was supported by the witness of the Old Testament. It is the duty of the clergy to accommodate their discourses to the times, to preach against such sins are most prevalent, and recommend such virtues as are most wanted. For example, -- if exorbitant ambition and venality are predominant, ought they not to warn their hears against those vices? If public spirit is much wanted, should they not inculcate this great virtue? 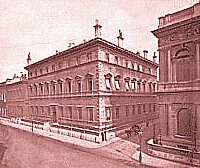 If the rights and duties of Christian magistrates and subjects are disputed, should they not explain them, show their nature, ends, limitations, and restrictions, how much soever it may move the gall of Massachusettensis? - John Adams, Novanglus (1774) reprinted in In God We Trust: The Religious Beliefs and Ideas of the American Founding Fathers, ed. by Norman Cousins (Harper &amp; Brothers: 1958), pg. 90. 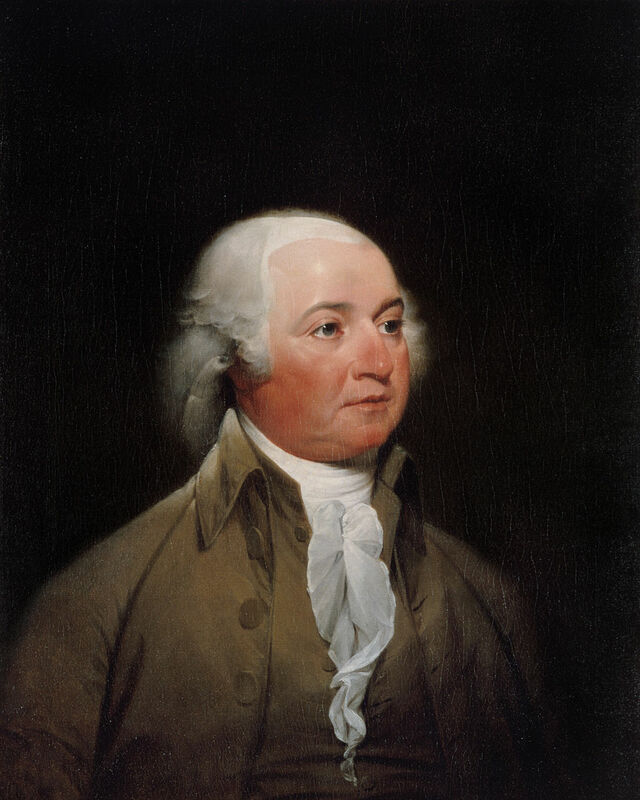 For Adams as much as for Jay, the role of preachers was to stir the hearts of their listeners to do good and to emulate virtue, while not avoiding necessary public issues in an explanation of the duties that believers have in the political arena. When thinking on the role of formal religion in public life, it might be a good idea to pay attention to John Jay's sage words regarding the proper role intersection of politics and the pulpit. Upon the whole nothing appears to me more manifest than that the separation of this country from Britain, has been of God; for every step the British took to prevent, served to accelerate it, which has generally been the case when men have undertaken to go into opposition to the course of Providence, and to make war with the nature of things. 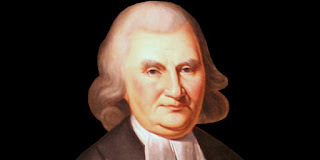 John Witherspoon, Sermon delivered at a Public Thanksgiving after Peace, November 28, 1782, quoted in The Founders on Religion: A Book of Quotations, James H. Hutson (editor) (Princeton University Press: 2005), pg. 18. John Dickinson and the American Constitution: that's the topic explored in this fascinating post over at The Imaginative Conservative. Did you know that the Federalist Papers weren't the only defense of our Constitution at the time of its proposal? American founding father John Dickinson wrote a set of articles, under the pen name Fabius, in defense of the proposed Constitution. How powerful was Dickinson's argument in favor of the Constitution? Powerful enough to earn the praise of the Father of Our Country, George Washington. Read the entire post by George S. Ahern to learn more. And I now have another book to add to my queue at the local public library! Frank Meyer and Richard M. Weaver Discuss Libertarianism and Conservatism: the Philadelphia Society has audio recordings posted of a fascinating discussion about political theory between paleolibertarian Frank Meyer and paleoconservative Richard M. Weaver. There is additional commentary recorded by other noted folks as well, but the discussion between Meyer and Weaver is what got my attention. 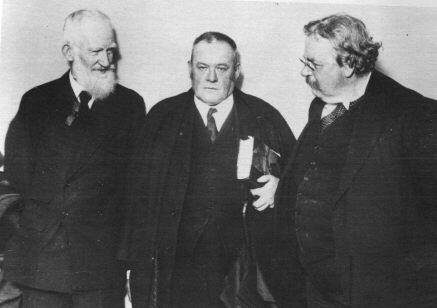 Both Meyer and Weaver advocated the fusion of libertarianism with conservatism, although in differing proportions, with Meyer arguing for a largely libertarian approach to politics, while Weaver advocated for a moral traditional conservatism that incorporated elements of the libertarian critique of the scope of government. Amazing to hear their voices express their thoughts! Our nation was not built only by those we consider, in light of our own prejudices & perspectives, "great men." To understand our nation, we need to broaden the scope of the men & women we consider worthy of study. His most ambitious -- and most mocked -- strategic plan to accomplish these goals was SDI, the Strategic Defense Initiative, which was ridiculed by Reagan's opponents as "Star Wars." Far from being something out of science fiction, SDI was a forward thinking effort to use technology to create a defensive system that would render nuclear weapons obsolete. Reagan showed himself to be no reactionary, but rather a visionary with his proposal. And he was willing to reach out to the leaders of the Evil Empire to do it. Even if that meant rejecting the direction his hardline advisors wanted to take. Colonial Americans were better readers than modern Americans -- what a shock! That's the topic of this post over at Freakonomics: Were Colonial Americans More Literate than Americans Today? The answer is yes, perhaps not quantatively, but qualitatively. The people who could read were far better readers than we are, as the post notes. 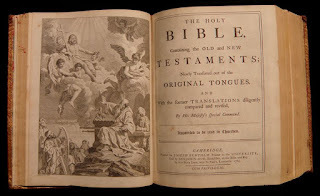 I attribute this to the more rigorous standards of basic education (the study of Latin or Greek tends to enable people to follow complex synatax more effectively in English, plus the study of those languages boosts English vocabulary when it comes to the numerous words in our language which are often derrived from Latin and Greek roots). 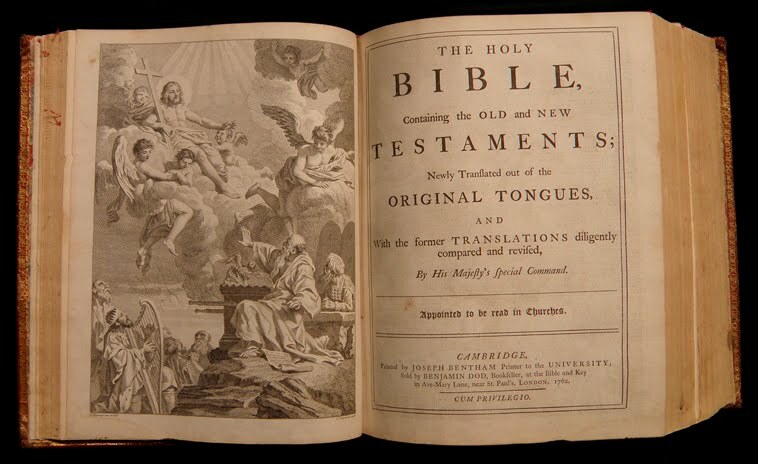 The near uniform exposure of colonials to that jewel of the English language, the King James translation of the Bible, didn't hurt either. Catholic social thought does not offer a “third way,” as if it were simply a matter of hacking off bits and pieces of the individualist-collectivist options and melding them into a palatable compromise. Rather, it begins from a fundamentally different ontology from that assumed and required by individualism, on the one hand, and statist collectivism, on the other. The assumptions of Catholic social thought provide for individuality and rights as the goods of persons in community, together with the claims of social obligation. Indeed. Both libertarians who try to ground their own ideology's particularities in Catholic social thinking, as well as big-government statists who do the same, are both missing the boat. Catholicism isn't trying to "do" politics, it is proposing a way of looking at the world that incorporates both the human person and the common good. Natural law, the principle of subsidiarity, and the principle of solidarity form the bedrock of Catholic social teaching. The atomized and desiccated ideologies of the day have much to learn from Catholicism as a consequence. It seems to me that the Cardinal is getting at the following. Human rights can only be based on (a) the inherent or intrinsic value of the person, existing in relation to God, cosmos, environment, and fellow human beings, and (b) the actual needs (rather than wants) of that person in that situation if he is not just to survive but to flourish. This requires that we know at least roughly what a human being is and what causes him to flourish—in other words, we need an adequate anthropology. Without that, we are whistling in the dark. Another related item: I have had the good fortune of being cited by Prof. Elshtain for an article I wrote on just war theory when I was a law student. Not to brag or anything. If interested my article, which explored Catholic influences on just war theory, can be found here at the Gonzaga Journal of International Law website. At Patheos, David Swarz tries to help reliably liberal scholar and Carter biographer ["Redeemer"] Randall Balmer's attempt to make a silk purse out of the sow's ear that was the Carter Era. Balmer should be given a medal for service to his party, ideology, and biographical subject. Swarz: [Balmer] points out that Carter’s presidency was sabotaged by events quite beyond his control—and that his significant accomplishments have been unfairly obscured. Jimmy Carter's presidency was sabotaged not by events, but by Jimmy Carter the person. His failure was as a leader, a president's Job One, in his third-class temperament. 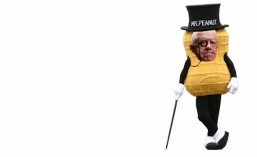 Even an ideologically friendly press and a Congress controlled by his own party despised him. 1. Carter's commitment to human rights was nice, although in confronting only the free world's allies [allies of convenience if not necessity] for their sins but not the other bad actors of the world, Jimmy Carter only encouraged the enemies of human rights to invade Afghanistan and use proxies like the Sandinistas to replace one tyranny with another. And of course there's the brutal Ayatollah regime that replaced the arguably less wicked and certainly less dangerous Shah of Iran..
2. The Camp David Accords. Truly historic. The only question is how much credit Jimmy Carter gets for facilitating them: When a country wants peace with Israel, it gets peace. Anwar el-Sadat—the great man, may he rest in peace— did just that. Convinced that peace with Israel would reap an enormous "peace dividend," Sadat initiated his most important diplomatic ploy. In a speech to the Egyptian parliament in 1977, Sadat affirmed his desire to go anywhere to negotiate a peace with the Israelis. 3. Giving back [giving away] the Panama Canal. Symbolically important to the Western anti-imperialist chattering class, but with no salutary effect in the real world except to necessitate Geo. HW Bush's surgical removal of the criminal Noriega regime. 4. Nuclear non-proliferation. Balmer takes a rather ¿huh? route in crediting Carter's halting nuclear initiative with Soviet Premier Brezhnev for Ronald Reagan's bold initiative with Gorbachev as "[Carter's] efforts would pay off in the 1980s." 5. "A theology of limits." Can't even get near this one, sorry. * No debate could even be held on these terms--because these terms cannot even be agreeably defined. In fairness, I'd have nominated President Carter for starting the Reagan Defense Buildup, which along with the refudiation of the Nixon/Kissinger policy of détente [the acceptance of the status quo of Soviet geopolitcal gains], brought about the close of the Cold War. You missed that one, Mr. Balmer. Although, as a qualified historian, I reckon you didn't miss it atall. Why, I'd bet it would make #1 on your The Worst Things about Jimmy Carter. Heh heh. “Human identity is no longer defined by what one does but by what one owns,” Carter sermonized, but “owning things and consuming things does not satisfy our longing for meaning.” Critics may have panned Carter’s idealistic approach to the energy crisis as politically naïve, but it was nonetheless a penetrating cultural critique. He was probably the most theologically profound president since Lincoln." Oh, my. Lincoln, slavery and the preservation of the Republic, Jimmy Carter and the Energy Crisis [since obviated by good ol' American pluck and ingenuity, fracking technology!]. Sigh. Randall Balmer's invocation of the sublime Mr. Lincoln renders Jimmy Carter all the more ridiculous. Sorry, sir. Your subject is unworthy of your rhetorical skill.